Using a cast iron skillet, tuck all the sausages into the skillet and cook low and slow until cooked through. In the meantime in a medium skillet, cook the sweet onion slices in a little butter on medium-low heat until nice and tender. Place the cubed potatoes in a large pot of salted water; bring to a boil and cook until tender. Drain the potatoes and place back into the pot; add 2-4 tablespoons of butter. Cover potatoes and set aside. Add a pat of butter to the skillet with the tender sweet onions and stir in a tablespoon of flour; add 1/4 cup of white wine and a cup or two of chicken broth. Bring to a boil; pour over sausages in the cast iron skillet and allow to simmer. Warm some milk (~3/4 cup) in the microwave; pour over the potatoes and mash to desired consistency. 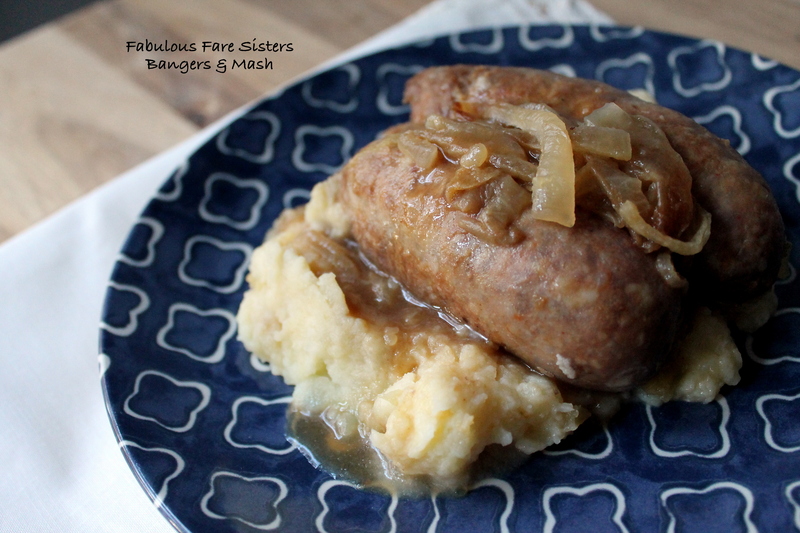 To serve: scoop mashed potatoes on each plate and top with 2 sausages and sweet onion gravy. Serve hot. Comfort food all the way! *The Dandelion Restauant uses Cumberland sausages but since I don’t have easy access to those types of sausages I substituted Sweet Italian Sausage. Heidi mentioned The Dandelion in her Herb Roasted Marinated Chicken post. Check it out! Happy Birthday to your son! This looks great, I love English pub food. Wow Linda! This looks amazing! I love bangers and mash. Another great sausage to use is Johnsonville’s Irish Sausage. 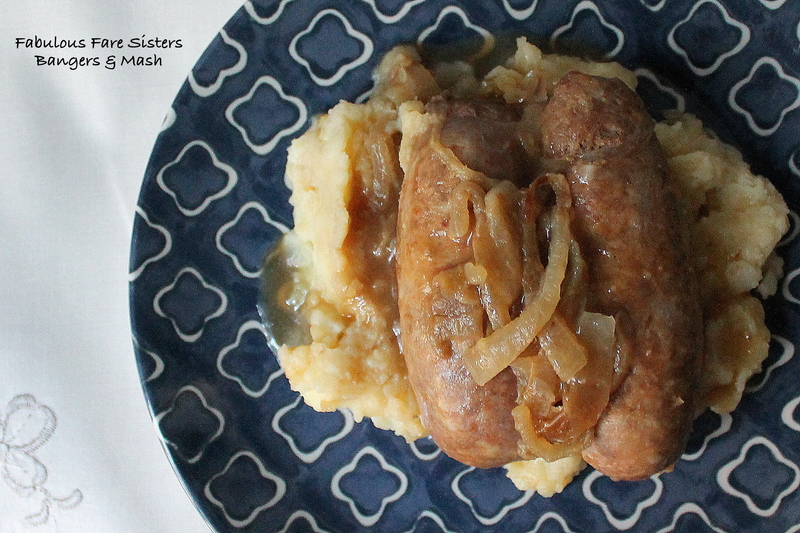 I did a post on Dublin coddle which included bangers, lots of onions, potatoes and bacon. I like your version as it has wine in it 🙂 I’ve got to put this on my “make soon” list – sounds so good. It was! My boys fought over the leftovers for lunch the next day 🙂 Your coddle sounds yummy too!